The beautiful River Dee is located in the North East of Scotland and at 87 miles in length it represents some of Scotland's finest salmon fly fishing. The Dee's catchment is 800 square miles and its origins commence 4000ft up in the Cairngorm mountain range before finally reaching the north sea at Aberdeen. 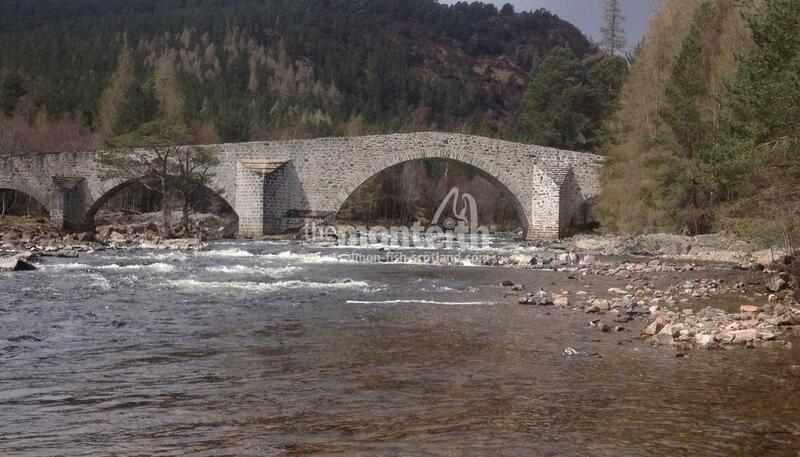 This famous Scottish river has some beautiful towns positioned along its riverbanks such as Banchory, Ballater & Braemar. The upper area of the Dee Valley is known as Royal Deeside due to Queen Victoria building the majestic Balmoral Castle in this area. 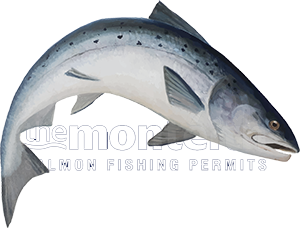 The River Dee salmon fishing season opens on the 1st of February and finishes on the 30th of September each year (or the 15th of October in some individual beat cases). 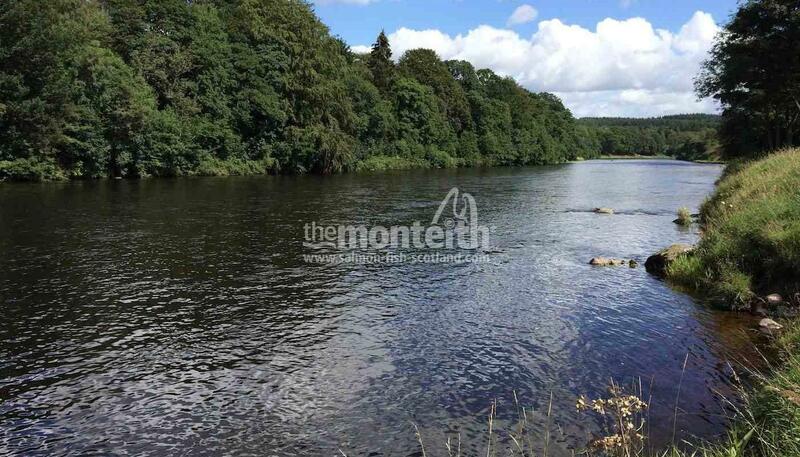 The Dee is very much a perfect fly fishing river with beautiful boulder strewn clear water pools that ebb & flow down through tantalising glides and fast water rapids throughout its entire length. 20 years ago the River Dee's management had the wisdom & foresight to make the river 100% 'Catch & Release' and in recent times the River Dee salmon stocks have been good even through naturally ocurring low stock cycle periods as a direct result of this worthwhile globally acceptable initiative. The River Dee has around 50 famous salmon fishing beats throughout its length and when the river opens at the start of February it is normal for many Spring salmon to be caught. Salmon stocks build up throughout the lower & middle Dee through the Spring months until the river water warms during late Spring when salmon will also appear in numbers in the upper Dee salmon fishing beats. Excellent salmon fishing is achievable on the Dee at any time of the salmon fishing season and I'm always amazed how many salmon are present especially during the Autumn months. At this time of the season it's normal to see 2 or 3 Dee salmon jump at the same moment. The River Dee is one of Scotland's shallower salmon fishing rivers although the Dee has a history of producing heavyweight salmon with 20lbs fish being common. Occasionally a 30lbs plus salmon will be landed or be seen by salmon fishers. The nearest city to the River Dee is Aberdeen and Edinburgh isn't that far away either with good road systems in place to keep driving easy and to a minimum. Both Aberdeen & Edinburgh benefit from international airports and transfers are easily arranged from either travel hubs to the River Dee's fine accommodation options. Fly fishing equipment for the River Dee is typically a 14/15ft ft double handed salmon fly rod with a floating line with sink tip. In low Summer water conditions a full floating line can also work well. In the early Spring months an intermediate line or a longer heavier sink tip can be added to a floating line and either rig fishes well. With tradition and fly control at distance in mind I would stick with these longer rod suggestions for fishing the Dee. The highly popular Spring salmon flies are the Dee Monkey and the deadly Park Shrimp works well too in the early months. Both should be tied on copper tubes to take them down a little bit in the cold higher Spring water conditions. During late Spring when the water warms move onto single or double hook versions. Other salmon fly patterns that fish well on the Dee are the Ally's Shrimp, Dee Sheep, Calvin Shrimp, Sunray Shadow, Cascade & the Stoat's tail to name a few. In lower Summer water conditions I've had great success with the smallest and lightly dressed Stoat's Tail or Silver Stoat patterns which are deadly during these conditions that require a more subtle approach. Studded boot chest waders are essential on the Dee to get a good grip of the riverbanks and riverbed stones when wading. Polaroid sunglasses are essential too which in certain water & light conditions can actually help you to pin-point where salmon are lying in a pool. Wading sticks are useful too to help you navigate around some of the bigger stones that make up the riverbed terrain. A life jacket on all Scottish salmon rivers is mandatory just in case you should lose your footing at any point. The majority of River Dee salmon pools do however offer easy wading. The River Dee is a very popular Scottish salmon fishing river and many international salmon anglers visit its glorious salmon beats annually. The limited salmon fishing access that's made available each year is best booked well in advance to guarantee your salmon fishing such is the popularity of this amazing Scottish salmon river. There are beautiful hotels located in the Dee valley in or near its major towns to compliment the quality salmon fishing the Dee offers. The River Dee offers a truly exciting Scottish salmon fly fishing experience and is located in one of the most amazing natural areas of Scotland with a beautiful & highly visual Cairngorm mountain range backdrop. This snow clad mountain range assures good river water levels with snow melt during the Spring & early Summer months before the Autumn rains come into play each year. Personally I love the Dee Valley and fishing it's perfect salmon fly fishing beats and regardless of the month of year there's always a good chance of an interview with one of its special marine predators. 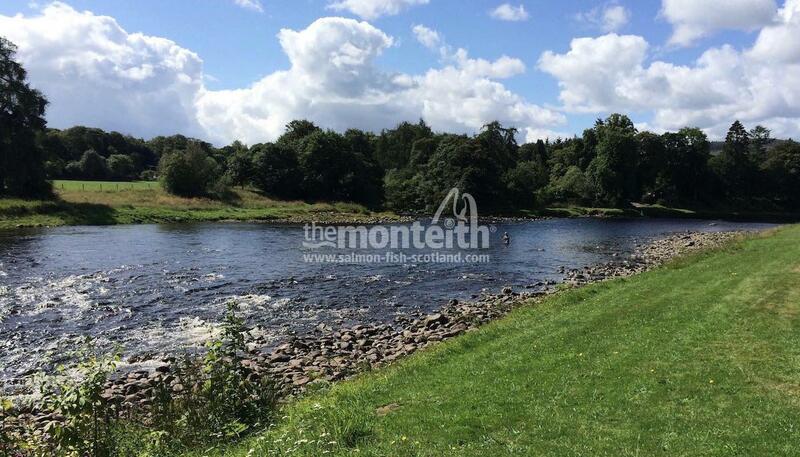 Many salmon anglers return to the Dee each year such is her amazing natural beauty and salmon fishing magic. 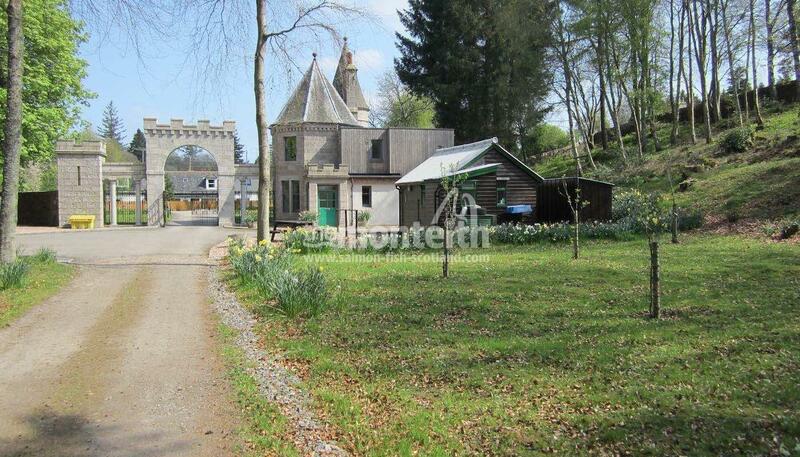 Many popular & picturesque Scottish towns are situated in the River Dee valley such as Banchory, Braemar & Ballater and the city of Aberdeen is located where the River Dee's fresh water meets the north sea. There are many quality hotels in the River Dee valley and the majority of which are located within easy travelling distance to the best salmon fishing locations. 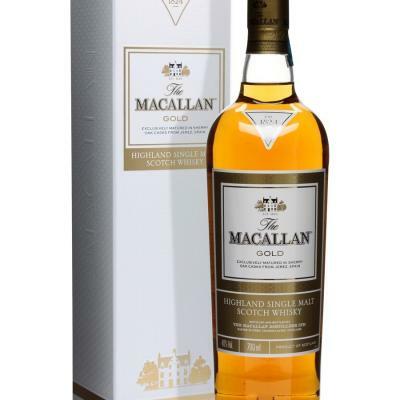 All of the River Dee Valley hotels provide evening meals, packed lunches and a have a great selection of Scotland's finest malt whiskies for an evening dram to wind down the fishing day with. This beautiful Scottish fly fishing salmon river has to be experienced to really be apprciated and I would say it's definitely one of the very best in the world. Once you've fished the beautiful River Dee and met some of the river's professional ambassador ghillies you'll understand the level of briliance this Scottish salmon fishing destination truly represents. My experience has been that those visiting global salmon fishers who experience the magic of the Dee just once will go on to make this river a life long obsession. When It Comes To The Fabulous River Dee You Simply Must Experience Salmon Fishing On This Naturally Beautiful & Perfect Fly Fishing Beat. 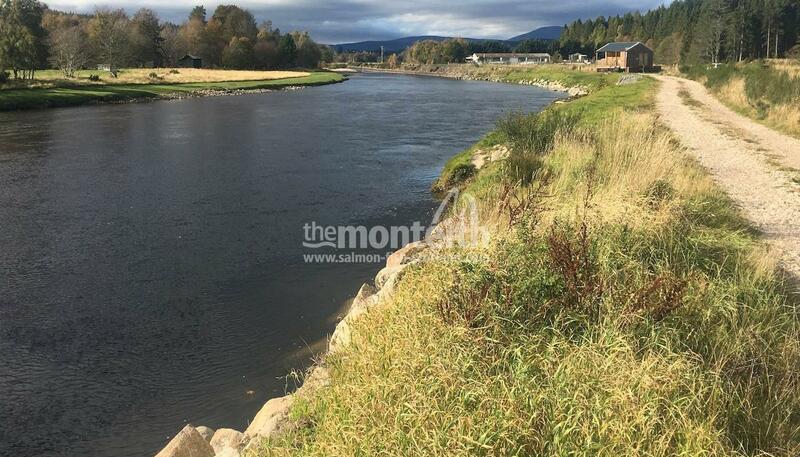 On The World Renowned River Dee You Would Do Very Well To Position Yourself Better Than On The Prolific Banchory Beat Which Is Located Within Walking Distance From The Beautiful Town Of Banchory.